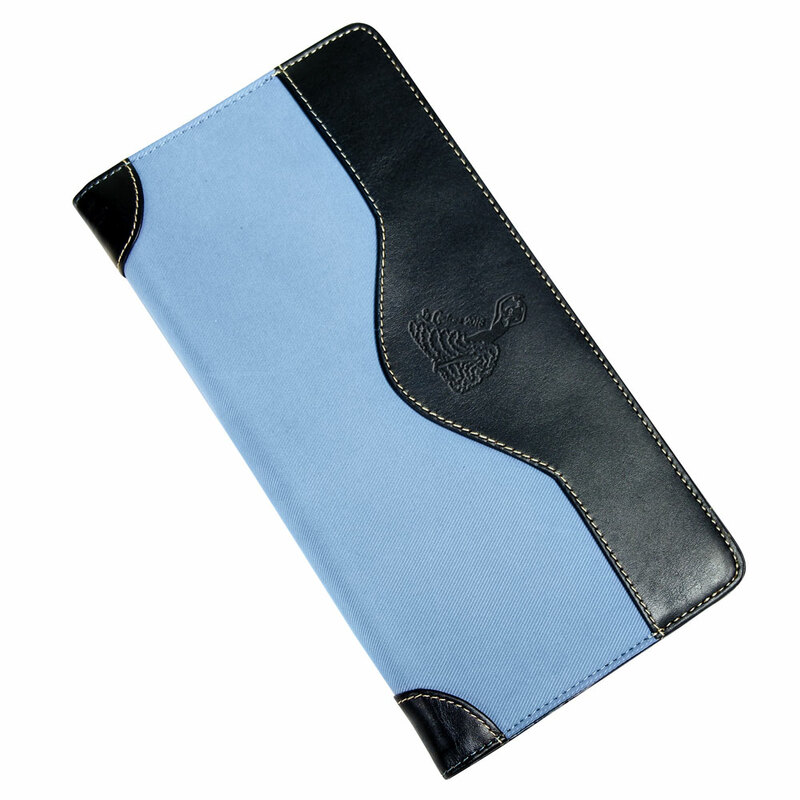 Made of suede-like brushed twill and supple, full-grain cowhide leather, trimmed in a creamy saddle stitch. 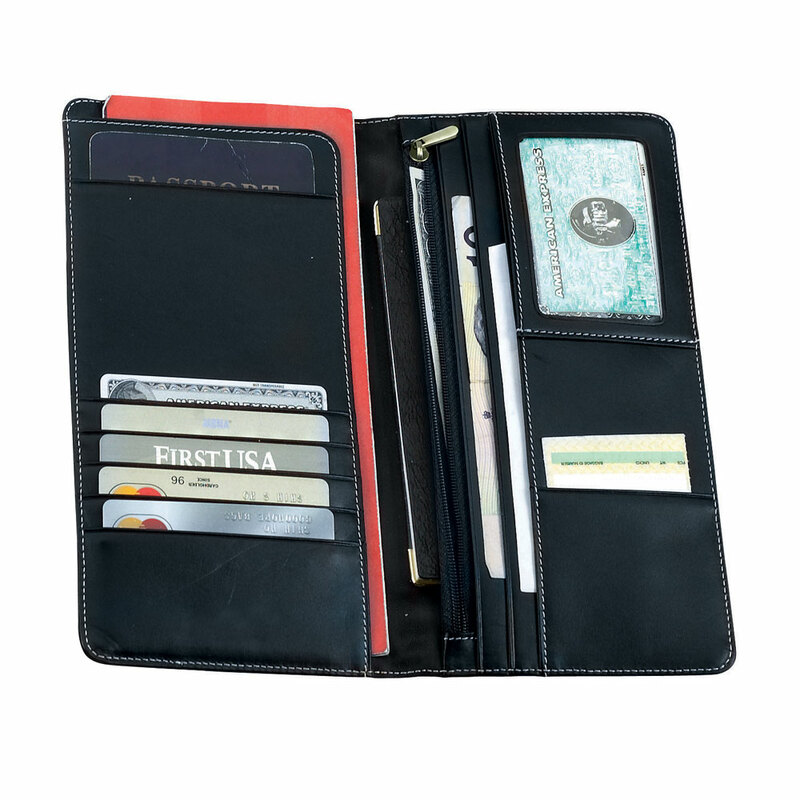 A traveler's dream, it features a passport pocket, five credit card pockets, and ID pocket, zip pockets and many additional pockets for tickets, traveler's checks and other travel documents. 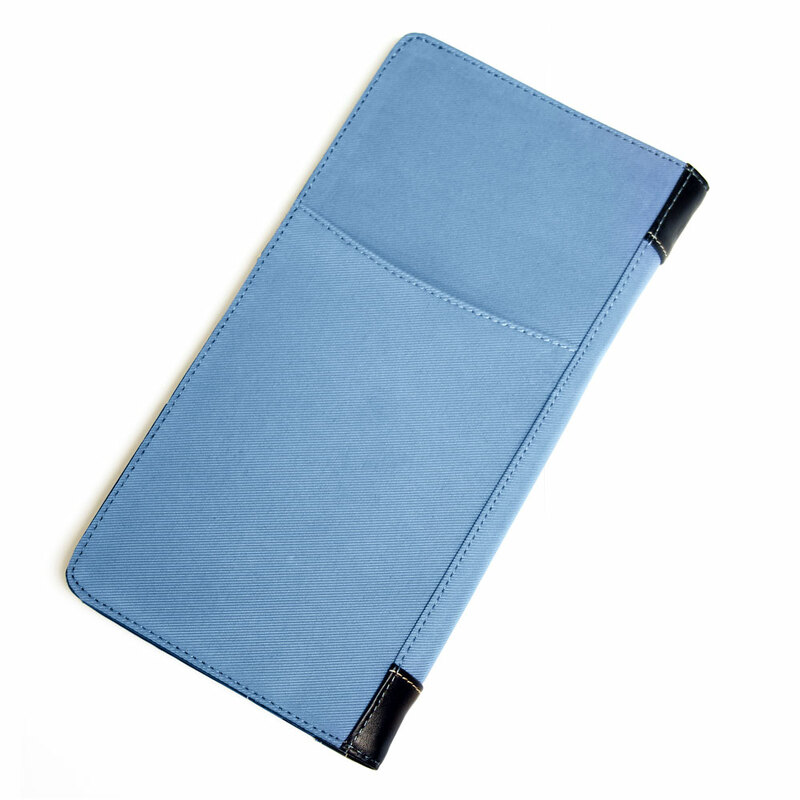 Specially sized to accommodate a ticket jacket, it also boasts an open pocket outside for your boarding pass. Product Size: 8 3/4" x 4 1/2"
Pack Info. : 24 pcs / 14.00 lbs. Pack Note: (Dimension Weight) / 12 lbs. (Actual Weight) / 17" x 11" x 12"